Got a Siberian Husky Pup on Your Radar? A big thank you is extended to Justin from Morgantown, West Virginia, USA for sharing his life with his Husky, Isaiah. Can you tell me a little bit about your Siberian Husky? We got our Husky, Isaiah, in September 2007, when he was 5 months old. He was neutered a couple months later, and he is now a healthy 8 year old Husky. We got him from one of my father’s cousins who decided to breed theirs. 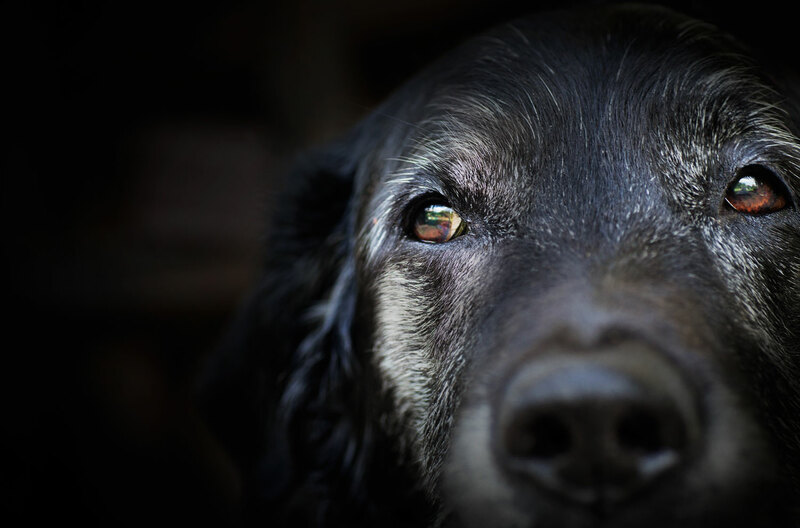 He is a very playful, energetic dog who enjoys frequent walks and playing tug of war, even at eight years old. Isaiah was pretty difficult to train. Siberian Huskies are naturally a very intelligent, stubborn, and energetic breed. We had the most trouble trying to keep Isaiah from running off, as he loved to explore and dig. After our initial frugal attempts, we ended up taking Isaiah to obedience classes. We still have him wear an electric collar, that is used with our electric fence. If he's away from the house, he has to be on a leash or he will want to run. Training him was a long, arduous task and I would not recommend getting a Husky if you do not have a lot of time to train them. 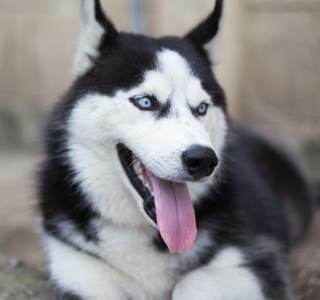 Huskies are energetic and athletic dogs that need regular exercise to maintain good health. We walk Isaiah every day and play with him often. He also has a big back yard that he loves and will run whenever we let him out. Without frequent exercise, a husky has a lower life expectancy and will gain weight. Huskies will also become very restless if they do not work off their excess energy with exercise, and might get into mischief. The first time we left Isaiah home alone he tore open one of our couch pillows. If you do not have enough time to supply the dog with ample exercise, a Siberian Husky may not be for you. Isaiah, like most Siberian Huskies, does not have a smell. Huskies take care of their coats and are fairly clean dogs in general. This being said, it is still important to bathe and groom them. While they only have to be bathed on occasion, it is important to brush them, especially when they are shedding. Isaiah will still roll around in mud but for the most part he is not a very messy dog. If he ever does smell it is often because of something that is stuck in his thick coat. If you want a dog without an obnoxious smell and don’t want to spend a lot of time grooming, a Siberian Husky is a good choice. Huskies are almost always shedding, which can become a problem for cleaning. We have to vacuum frequently to clean up after Isaiah. It is important to brush Huskies often, especially when they shed the most, which is often before summer or winter. Huskies’ frequent shedding can be attributed to their undercoat, which helps maintain their body temperature. The frequent shedding, however, keeps them clean and smelling nice. We brush Isaiah twice a week regularly, and every other day when he is shedding heavily. If you want to get a Siberian Husky, it is important to be able to brush them frequently to remove the excess shed fur. Even for a dog, Isaiah is very verbal. Huskies, being the energetic, playful dogs they are, love to make their presence known. Like most Huskies, Isaiah loves to howl, and talk. Isaiah will babble at any passerby's and will howl when excited. This can be can get annoying at times, and is not good if you have neighbors that are sensitive to high volumes. I don't think Siberian Huskies would do well in an apartment. Huskies can be trained to quiet down, but it is very difficult. If you want a quiet dog, then I would not recommend getting a Husky. What is he like around other dogs? Isaiah is very good with other dogs. As with most Siberian Huskies, Isaiah likes to play with and talk to other dogs. 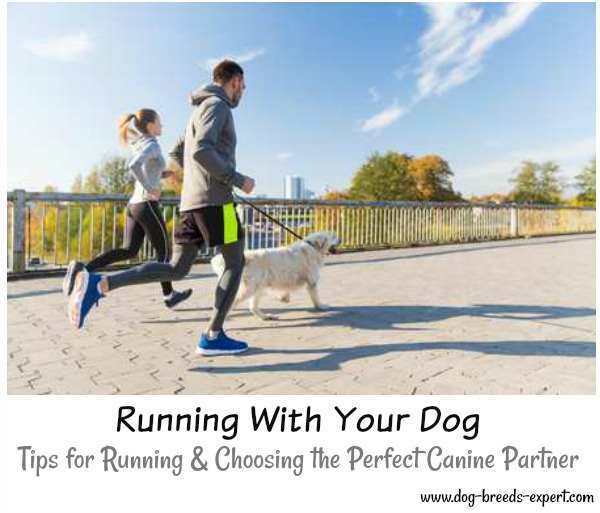 His energetic and playful personality shows especially when he is around other dogs. Whenever dogs go past our house he will run to greet them. He has on occasion been aggressive with other male dogs, but for the most part Isaiah is good about not attacking other dogs. We take him to the dog park once in awhile, and he has always done well there. We do watch him carefully, because a fight can break out quickly, and we don't want our Isaiah to be involved. When we got Isaiah we already had two cats, and have since gotten a third. Huskies are natural hunting dogs, and will often attack or chase smaller animals. Huskies may attack small house cats if they are not used to their presence. The best way to have a Siberian Husky and house cats is to raise it around them. Getting a Siberian Husky and raising it in the presence of other cats will make it less likely to attack them. Isaiah would sometimes snap at our cats as a puppy but now hardly bothers them. If you are planning on getting a Husky it is important to teach them not to attack any other house pets when they are still puppies. Isaiah is very good around children. I have three kids and there seems to be friends passing through the house. Most of his excess energy manifests as playfulness, and he will run up to greet any one. He can on occasion get too excited and jump on them, but he hardly ever been aggressive with any one. Most of the kids that pass through our house love to play with Isaiah almost as much as he loves to play with them. Siberian Huskies are very good with people of all ages, but as with all dogs should not be left with small children. Is he a fussy eater? Isaiah is not a fussy eater. He will eat most any dog food provided to him, but despite his size, does not eat very much, only about two cups of kibble a day. Huskies are medium sized dogs, so you should buy a dog food that caters to medium dogs and has a variety of healthy ingredients. It is important to always have water in his bowl, as he can get dehydrated after extensive exercise. We also give Isaiah one or two treats a day. Huskies are not very picky dogs, so it is important to take it into your own hands to make sure they receive an ample amount of healthy food, or else they will eat whatever they can find. 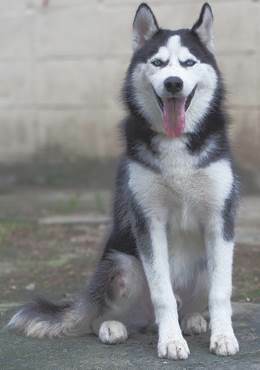 Huskies are relatively clean dogs, and do not require much grooming besides regular brushing. It is important to brush a Husky often to remove shed fur. We brush Isaiah twice a week normally and every other day when he is shedding heavily. Brushing Isaiah only take about twenty minutes. His shedding makes it unnecessary to bathe him frequently, so we only have to bathe him once a month. Some months go by, especially in the winter where we don't bathe him at all. We still need to clip his nails, though, because the seem to grow long very fast. Overall, Siberian Huskies do not require very heavy grooming to maintain their hygiene. Isaiah has a very playful personality, and will often babble when he wants to be played with. I think his communicating skills make him a very fun dog to have around, as it is almost like having another person in the house. Isaiah especially likes cold weather, and will go out of his way to find cold or windy spots. We get some really cold days where I live and he just seems invigorated by the cold. I love to watch him run around in our backyard after a snow storm. His energy is infectious, and he has a habit of making everyone around him happier. Any other advice for people interested in getting one of these dogs? I think Siberian Huskies make great pets for people who are willing to spend time playing with them and exercising them. Isaiah is not much of a drooler, but the Siberian Husky I had as a kid seemed to drool all of the time. Anyone who hates dogs that drool, should not get a Husky. They also love to dig, so they may not work for avid gardeners, and we found that they are great at digging under a fence. The electric fence seems to work better for us. But they can escape really fast by digging a little hole under the fence. The only other thing I can mention is that they are very people-oriented and do not like being left alone for too long. 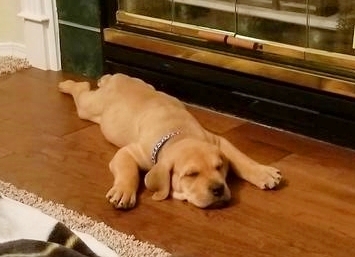 When ours was a puppy, we learned that very quickly. Now, if he has to be left all day, we make sure he has a very long walk before we leave.